Family drama abound in this blog series that reads like a family vacation cramped into a mini van. As I write this review, April 8th, 2014 marks exactly two years since the first chapter of I am My Own Cousin was released online, in a new kind of self-published format: a blog. A free blog. 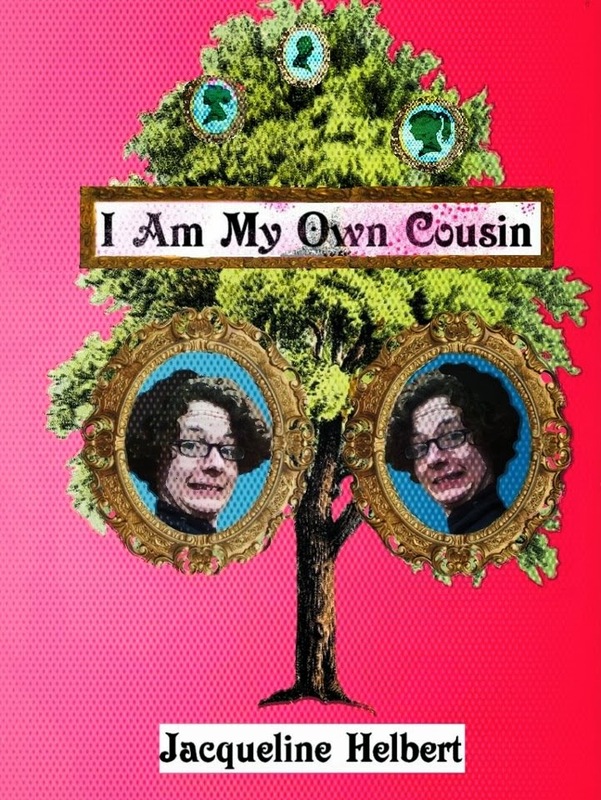 Yes, I am My Own Cousin is published and put online absolutely for free, accessible to anyone with an internet connection and an interest. Currently hosting five chapters, it’s reminiscent of pre-19th century Russian novels that were published in newspapers by the chapter, that is, if pre-19th century Russian novels were raunchy, carefree exploits complete with illicit Dunkin Donuts mascots and tequila fueled comas. From the first few lines of Chapter One, “over forty medical professionals watched our birth, as if it were the opening ceremony of the OB-GYN Olympics,” it’s clear that the story is, just like it’s formatting, fun. It’s a frolicking romp through the life of an open-minded triplet, not quite chronologically accurate, not quite with a set plot, like a highway that diverges into twenty backroads, some with grimy potholes, and others shockingly well paved, that all seem to merge back together occasionally, only to veer off again, leaving the reader a little confused, a little frustrated, but always ready to keep plowing on through the pages posts. The honesty of I Am My Own Cousin is what holds the reader so strongly. The cast of characters is painfully endearing- a hardworking, young couple with three identical triplets (and later three more); girls who dress alike and have a bond so strong they don’t understand why sharing answers on tests, just like they share their dresses, is wrong. It’s this connection and interest in the girls and their stories that holds the reader when the going gets tough. Painful hurt and betrayal go beyond the happy family dynamic that shines through the first few posts. Issues ranging from abuse, pregnancy, and devotion to a Church that later turns the girls away, create a powerful narrative. They challenge a powerful bond which, at sometimes, seems like it might shatter at any time. Instead of brushing off the hardest issues, the author, along with several guest posters, turn each trial of pain and family woes into a dialogue. Included along with family photos, pictures of the author’s first trailer, and a smattering of other images, are facts about teen pregnancy, abusive relationships, and other resources that are thoughtfully laid into the beautiful writing. While the girls might not have learned from their mistakes (and truly, the story sees these mistakes as pieces of a journey) they are accompanied by reflections, excerpts and inserts that create an even more powerful dialogue. Yet the stories do not seek to strike some moral high ground. They are just as much about human error as they are about approaching life with humility and a sense of searching for beauty in every situation. Each character brings to the table ideas about relationships with friends, family, and even God, with honesty and tact. They are insightful stories without preaching, and beautiful without feeling like they are trying to eek out some moral or ideology. While some works become flawed in trying to find a meaning for each action, I Am My Own Cousin reflects on a life without drawing rights or wrongs. It leaves a gray area that the reader can eek out and relate to. Certainly, anyone, from any walk of life, can reach out and be touched by a chapter of this blog. Family is an aspect of life we barely understand- a collective of individuals sometimes related by blood and not much else- yet one that has an incredible significance from birth to death. Read with an open mind and an open heart. Perhaps the contents will shock you, upset you, make you joyful, but they will certainly make you feel connected to this family and their story. It’s one worth sharing. And one worth following up on- the end of Chapter 37 details where each character currently is. I am My Own Cousin is a tribute to the variety of forms that self-publishing can take. It’s a story that does incredibly well in a format used for everything from mom’s blogs to politico pieces, due to the incredible amount of personality packed into every post. The personal pictures, ranging from selfies in the woods to personalized oil paintings, complement the down-home jargon and the shameless tell-all of each post, that create something more than could be stuffed into a traditionally printed book. The fluidity of the story, and the format of the blog that allow the reader to jump around, to click back and forth between Chapter 34: The Young and the Feckless, and Bonus Chapter 4: The GREAT Lesbian Adventure, add a new dimension to the reading experience. Indeed, a non-linear story should be explored at the reader’s whim- for no matter which post one begins at- it will all be good fun. This is the rebuttal blog written by Jacqui’s father, his own portrayal of the family. Recommended for: Anyone and everyone, there is something to get out of this blog no matter whether you are just beginning your family, or absolutely fed up with your relatives. Enjoy it with: sweet tea, brownies, and a box of tissues. The Youth Prescription lies somewhere between a historical narrative, a textbook, and a comic. Most importantly, it is a discussion that spans the realms of psychology, alternative health, and modern medicine that investigates our culture’s obsession with youth. The author immediately suggests that this is not the obsession we should have- instead, we should focus on health, and turn our quest for the fountain of youth, to the journey to healthier bodies, which, in turn, age more gracefully. The work then focuses on the connection between health and appearance, and the ways that youthfulness can be restored through healthier habits- whether focusing on the skin, or what lies beneath the epidermis. Treatments from magnets, to yogurt, to what the author hails as the holy grail of healthy supplements- bovine colostrum- are explored, and the author investigates the benefits of each of these supplements in layman’s terms. The descriptions are accessible to any audience, written in clear language (or as clear as writing about bifidobacterium infantis can possibly be). Yet what is lost in translation from scientific knowledge written in peer-reviewed papers to easily understandable terminology is important information. The common issue with diluting scientific research into summaries absorbable by those without understanding of the terminology, is that key points, and important ideas are lost. Generalizations, that can be loosely interpreted, and therefore have the possibility to be misleading, take the place of specific caveats that apply to research. Therefore, the written warning while reading The Youth Prescription is that outside research might be necessary- consult the original papers regarding the treatments prescribed by the author, along with a doctor’s approval. Dr. Geissel successfully navigates the challenge of dumping products onto the page. She describes the ideas behind each of the remedies that she writes about, alone with personal experiences, and how the health benefits of each supplement, mask, and pill are connected to the anti-aging benefits. This results in a holistic view of aging that our society seems to be lacking. Instead of stressing picking up a needle and injecting poisonous botox into a forehead to eliminate wrinkles, Dr. Geissel takes the pages to describe how the effects on cells of medicines translate into aesthetic benefits. It is a look beyond the superficial interest in beauty of our society, and towards the wellbeing that we should strive to achieve. Included in each chapter are cartoons, which, in many ways, seem to echo the irony of the subject that Dr. Geissel writes about. These tiny black and white snapshot portrayals are dispersed throughout the work; they are humorous reminders of the absurdity of the emphasis that our society places on aesthetics- and not the functioning body beneath our skins. Therefore, The Youth Prescription should be treated as less than a prescription, and more of an anthology, an encyclopedic collection of possible remedies that target different issues associated with aging (or, as the author strives to connect- the health that indirectly affects the appearance of aging). It is a valuable resource of ideas, but is in no ways the magic pill to conquer aging once and for all. Read it for what it is: a well-researched description of the far reaches that our society is willing to take to conquer our obsessions with beauty. With that in mind, many of the treatments are expensive. They require a slew of pills taken in the morning, of careful dosages and doctor’s appointments. While the book may be written in terms that are easily accessible, many of the treatments are not. This is in no way a flaw of the author, but is important to note that the audience may be able to internalize the ideas behind the research- but may not be able to reach out onto the shelves and use these ideas. Therefore, what The Youth Prescription is lacking is a stronger analysis of the psychological factors that are more applicable to readers who do not wish to spend money on supplements, creams, and other treatments that may prove to be ineffective. A deeper conversation on ways to end the negative self-talk that allows people, including Dr. Geissel to become incredibly nervous when noticing a single age spot, would be a helpful supplement to the rest of the text. How can we end these perceptions as a society? How can we end them on a personal level? 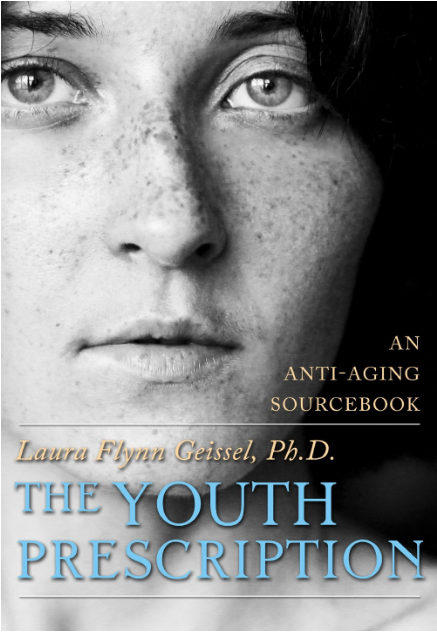 The Youth Prescription is worth reading as an introduction to the ideas behind anti-aging. It is most certainly focused more towards middle-aged women who are the brunt of the aging crisis in our society, but can be a valuable resource to anyone interested in the connection between overall health and appearance. It is not a cure-all, but it is a good first appointment, with the treatment left in the hands of the patient.